- A SPUR to move the reels, bobbins or coils, also available in versions complete with nylon ROLLERS to help the reel slide along the spur. 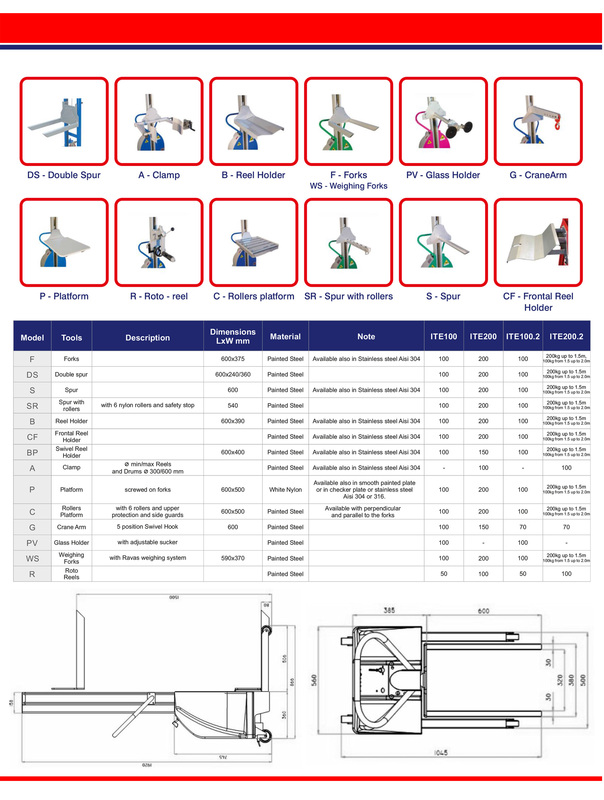 It is ideal to be used with packaging and labelling systems. 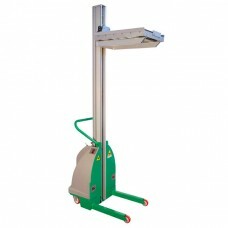 - A CRADLE to move the bobbins, moulds, wheels or reels. - An ARM complete with a hook to move small suspended loads. 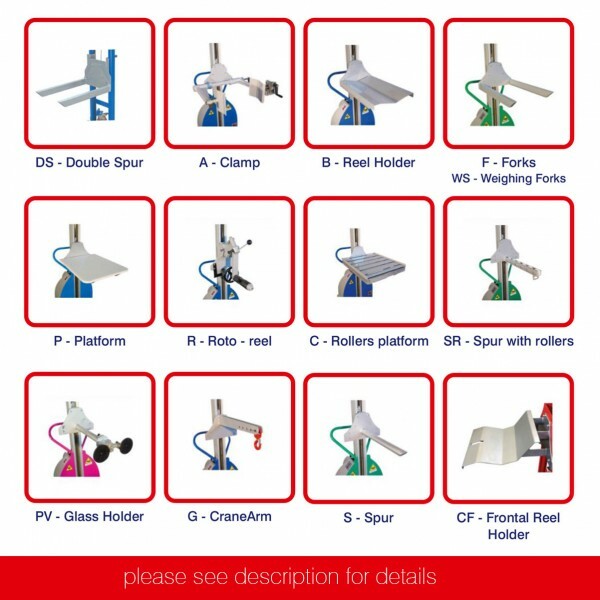 - ROTO-REELS to change the position of the reel from horizontal to vertical, and vice-versa. - A CLAMP that turns the load 360° so that it can be positioned exactly where desired.